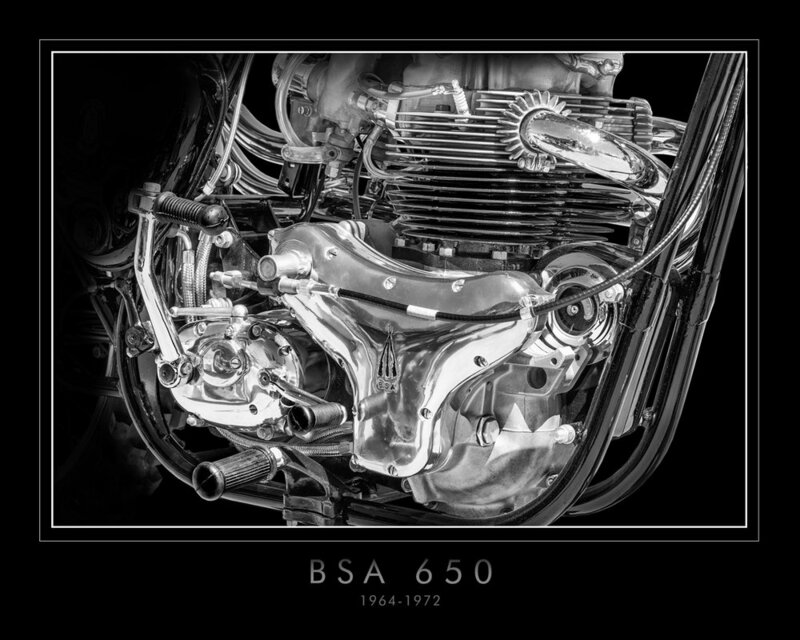 Many of the most iconic and beautiful engines ever produced are visible in this set of 72 carefully-curated images, designed to highlight the artistry involved in engine design. 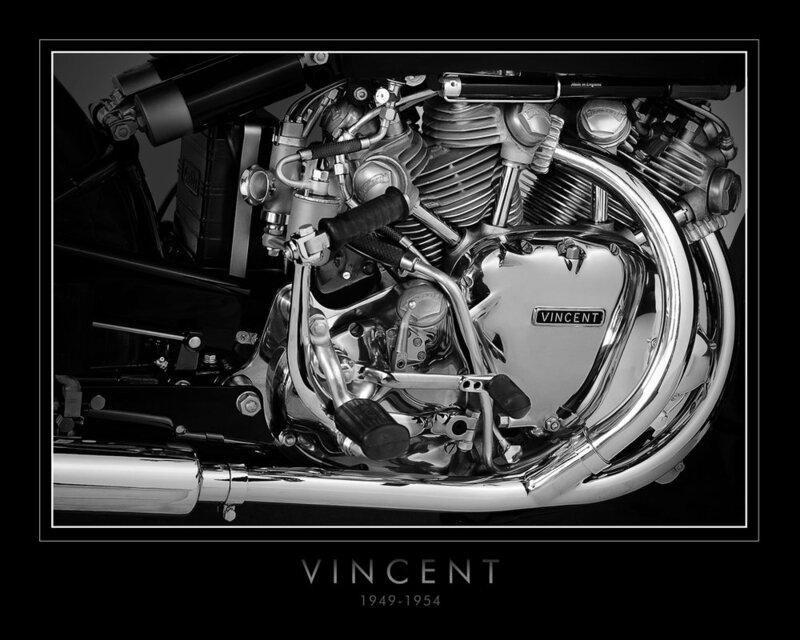 Take particular note of the Vincent, widely considered to be the most beautiful engine in the world. 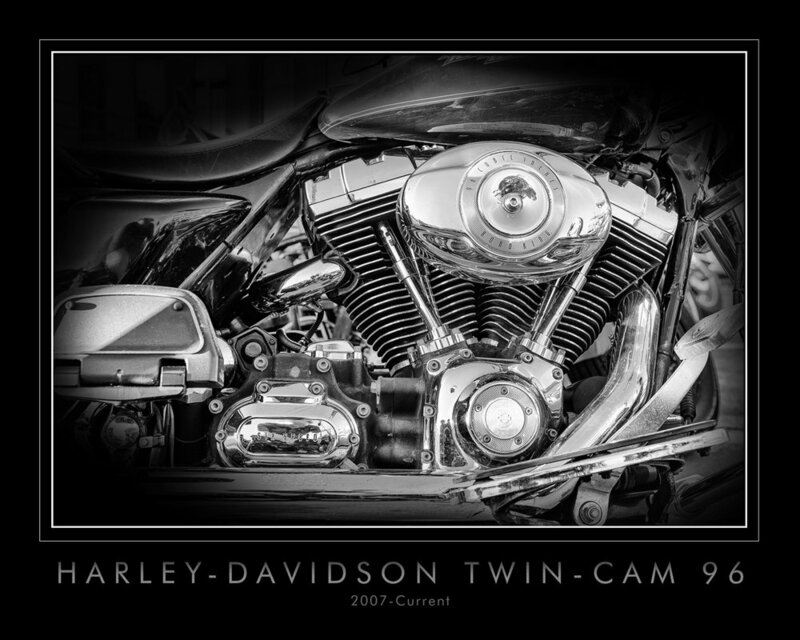 This image was taken of what is undoubtedly the finest example currently in existence, from the collection of Gene Brown. 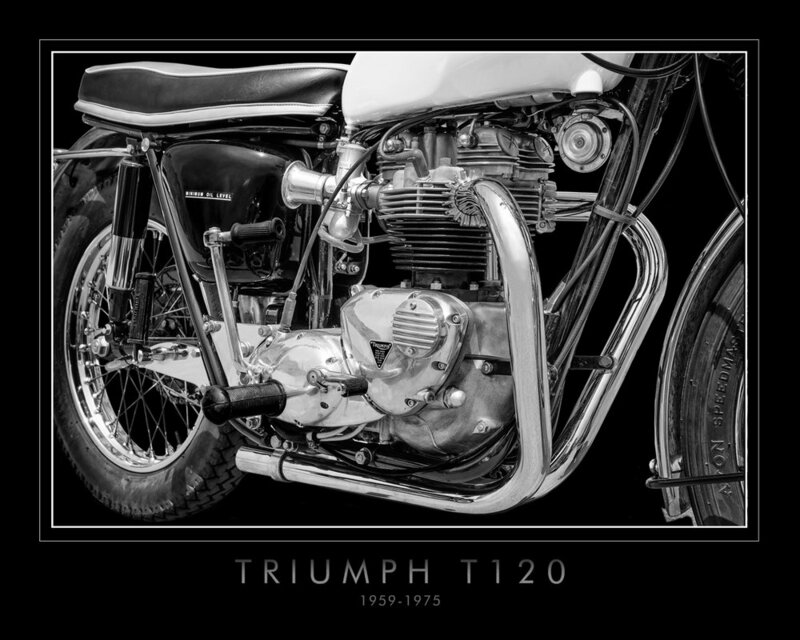 This wonderful set of images is available in groups of four from the Shop. 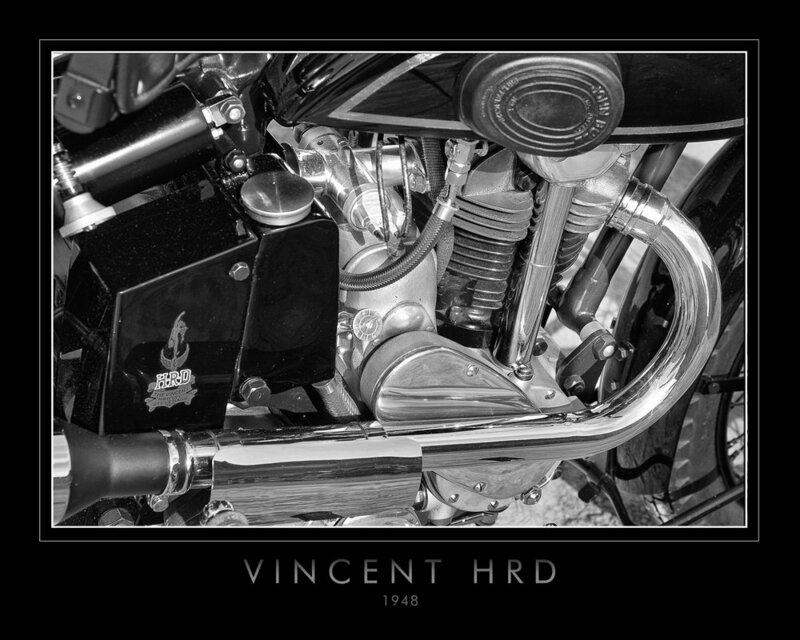 Pick any four you like, and you’ll receive them as 8x10 prints, printed on silver gelatin archival paper, air-dried and flattened in a press. 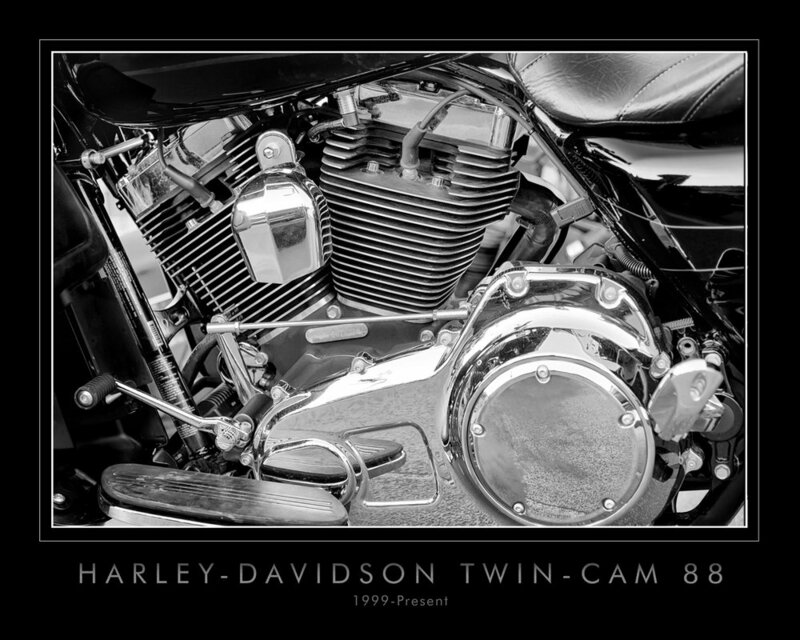 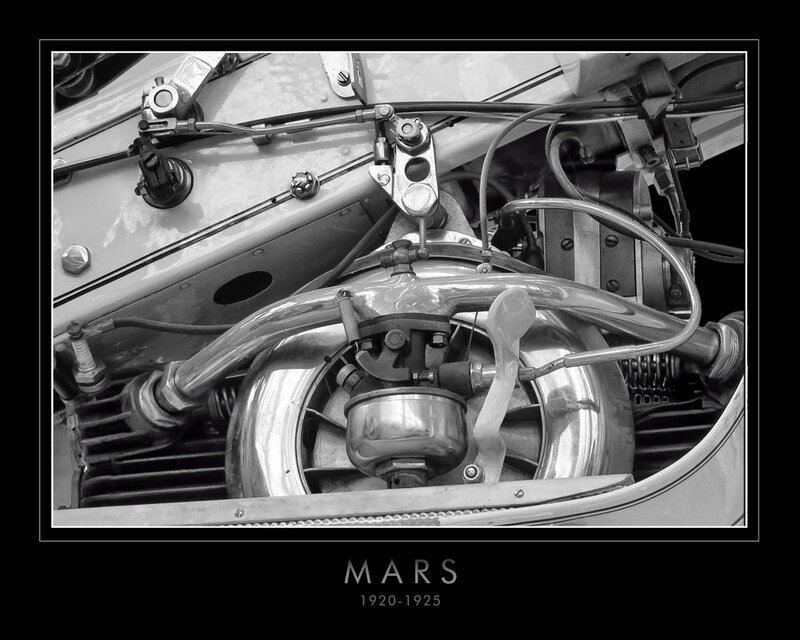 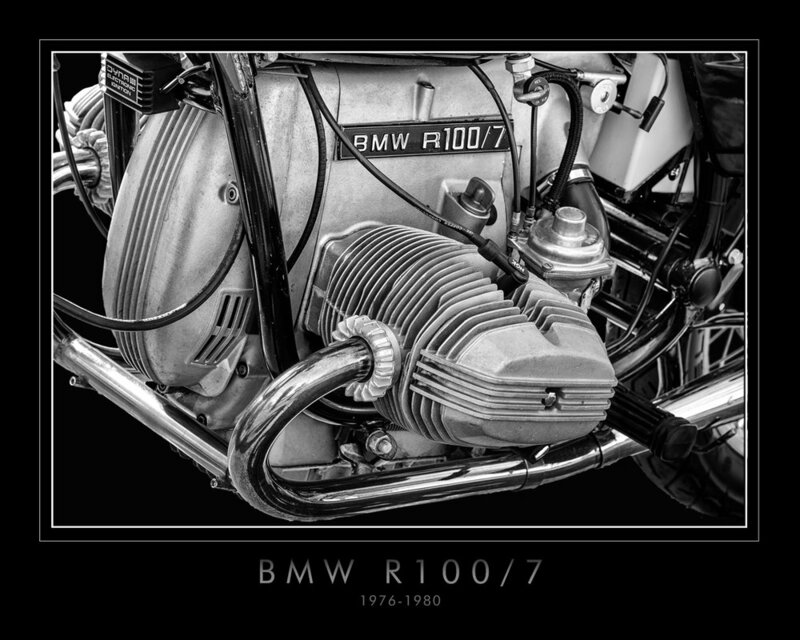 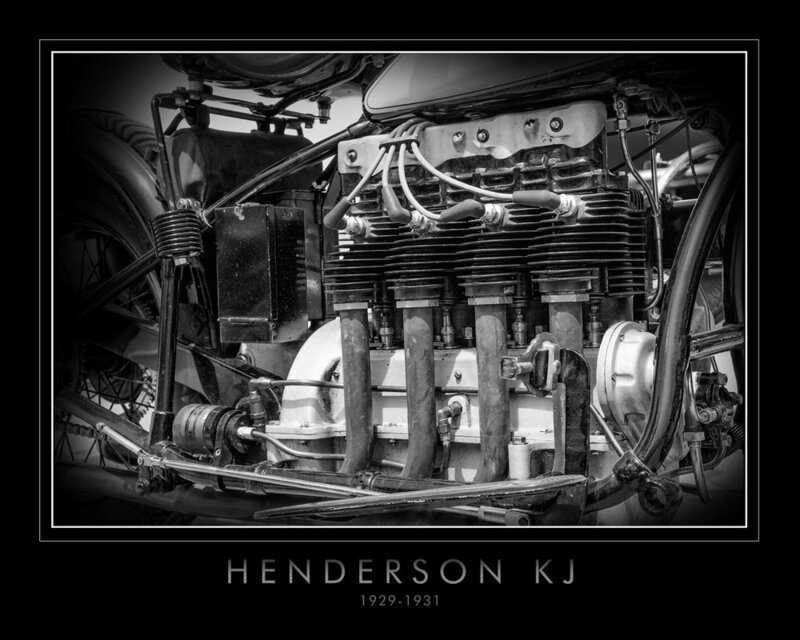 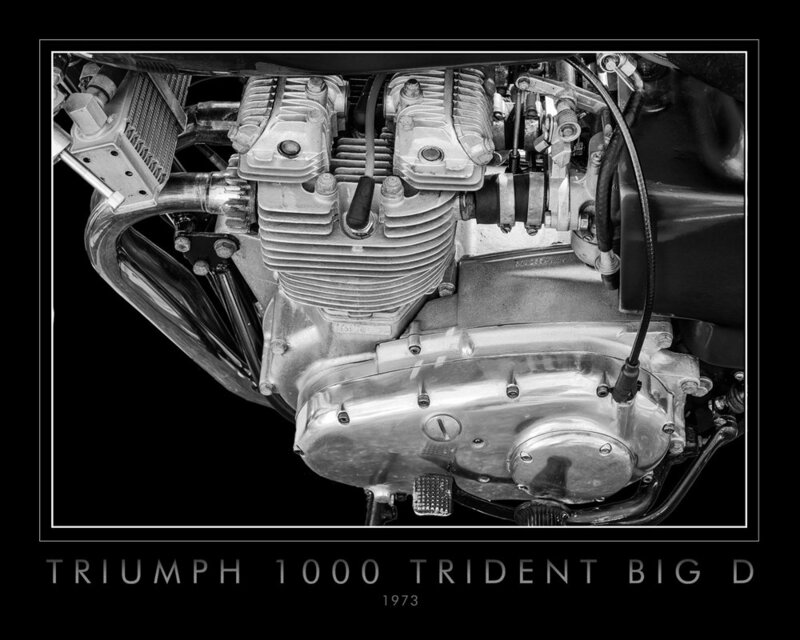 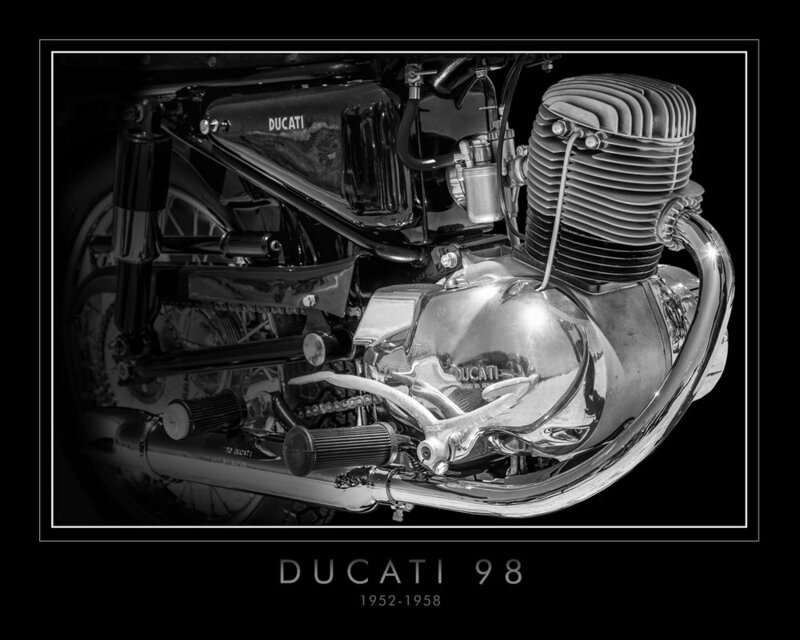 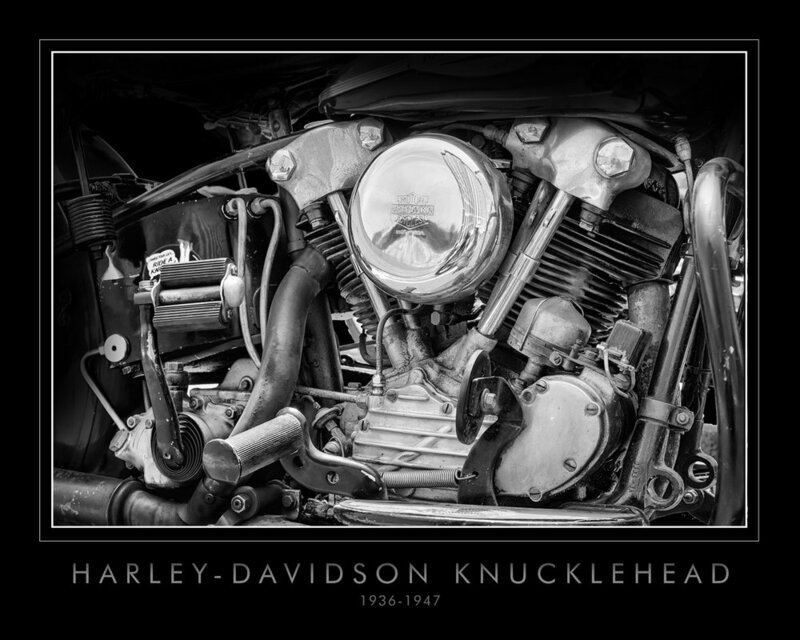 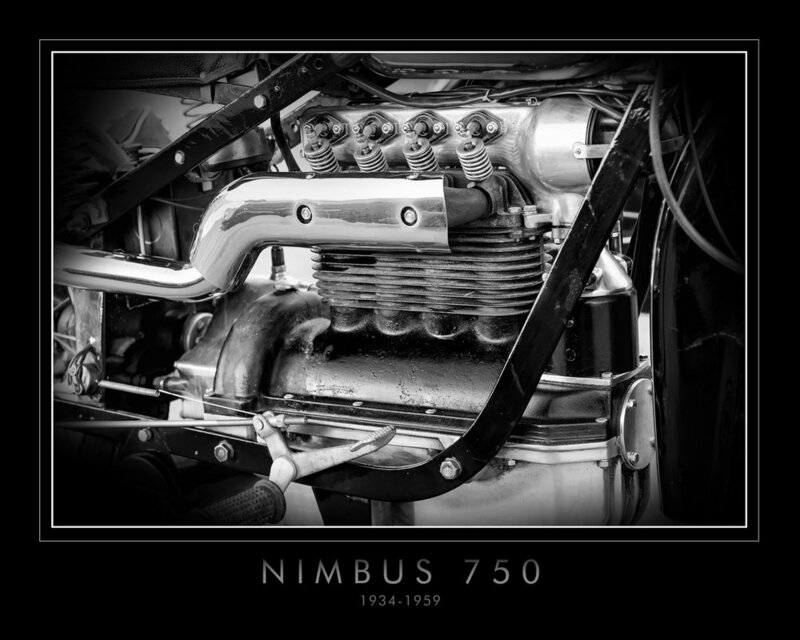 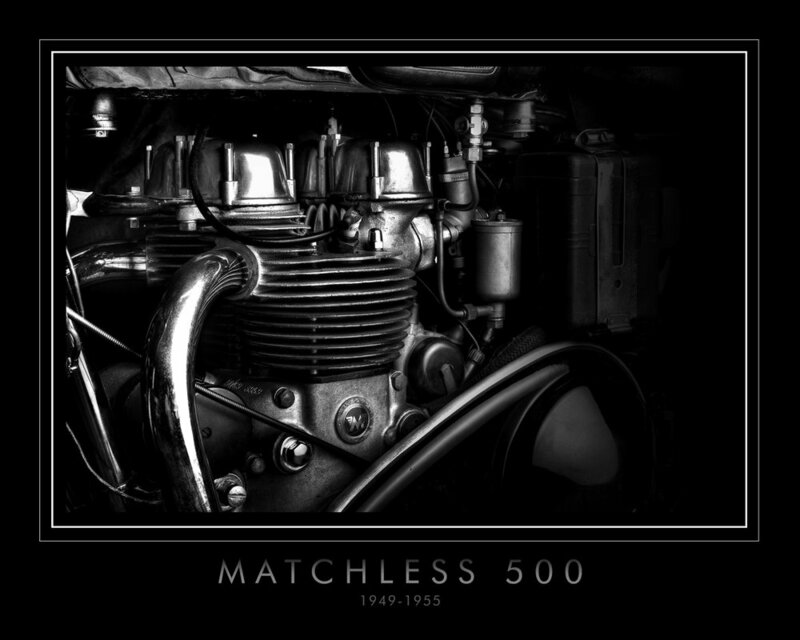 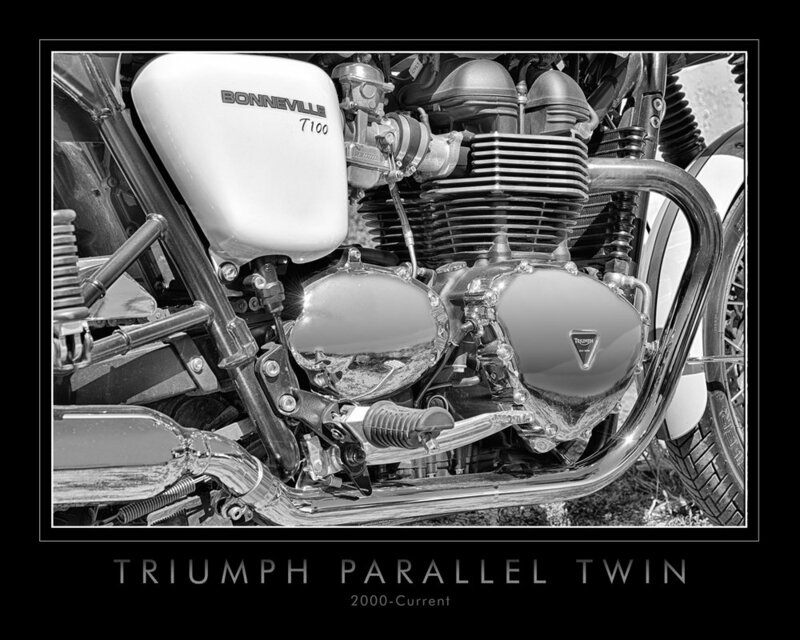 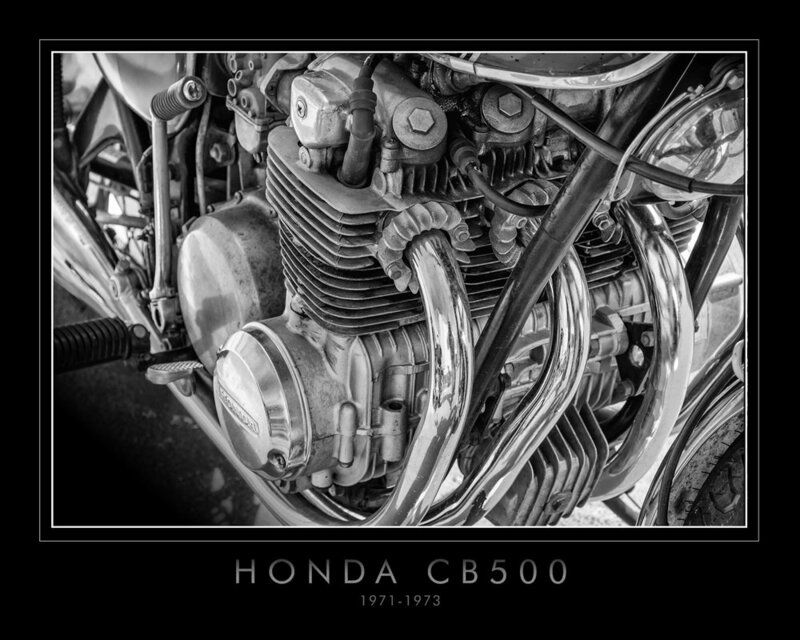 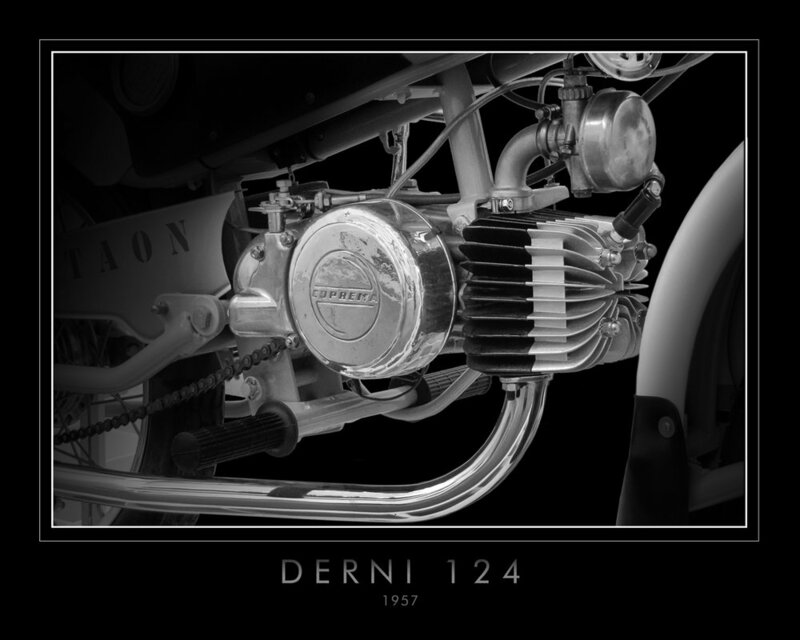 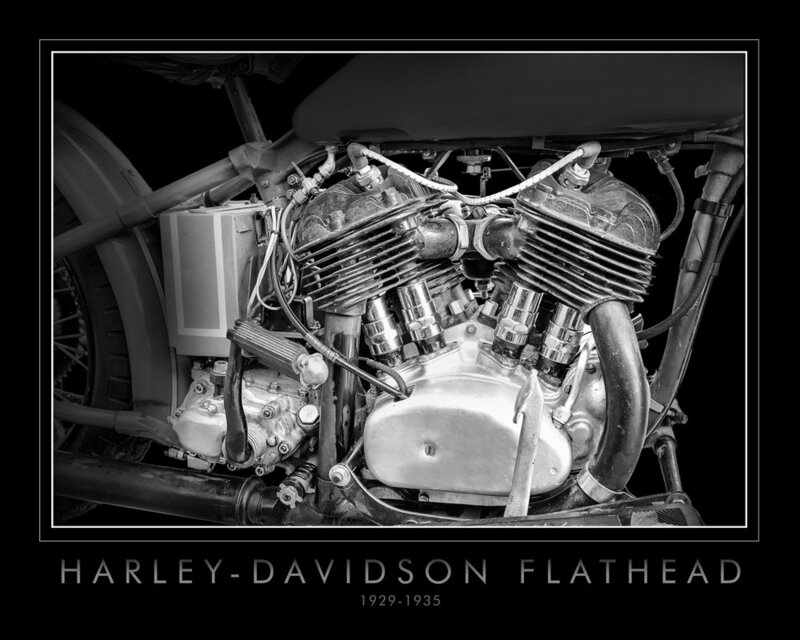 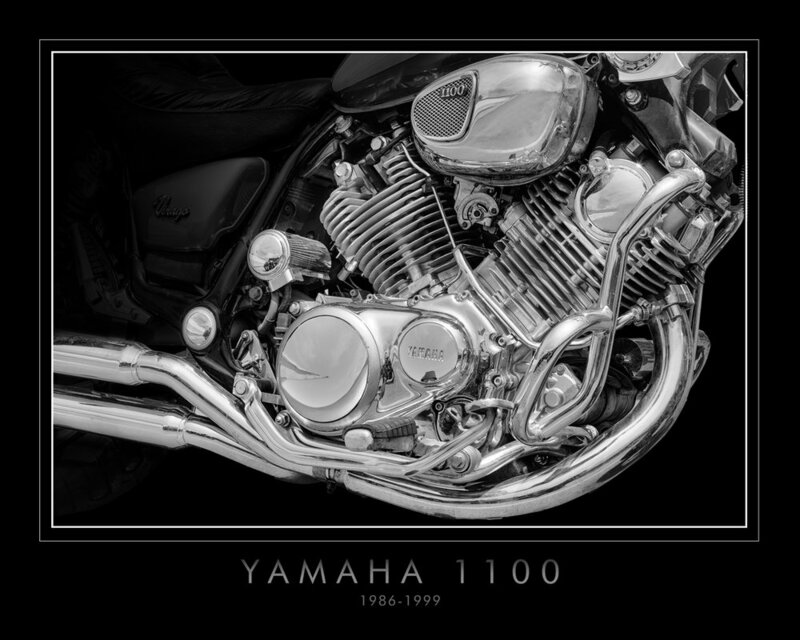 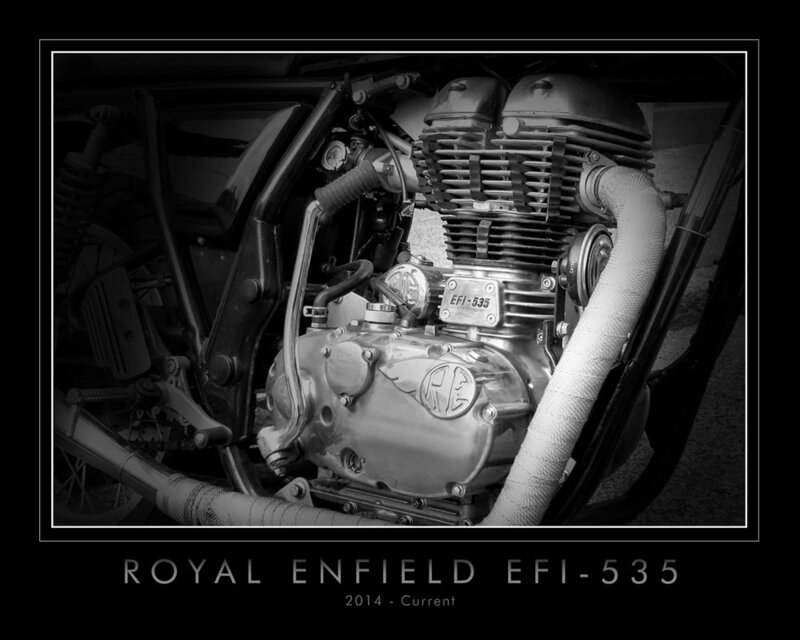 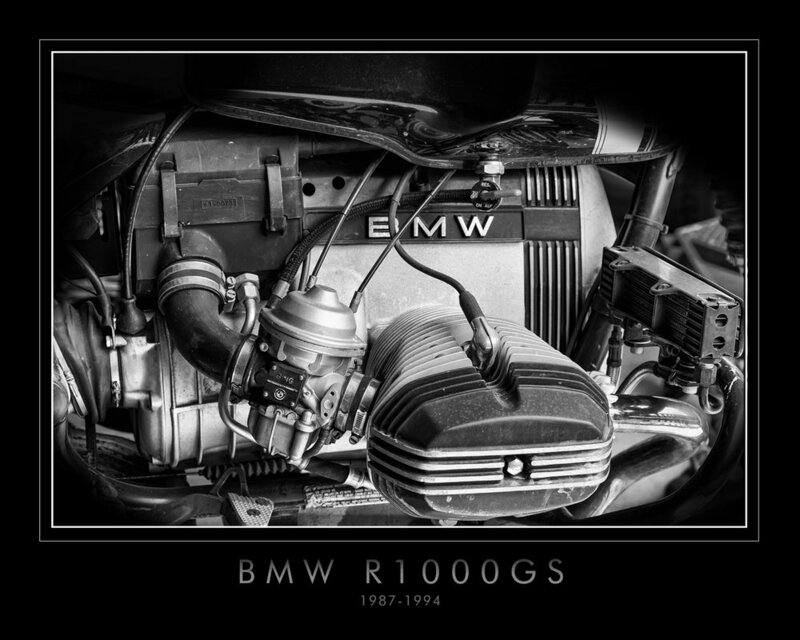 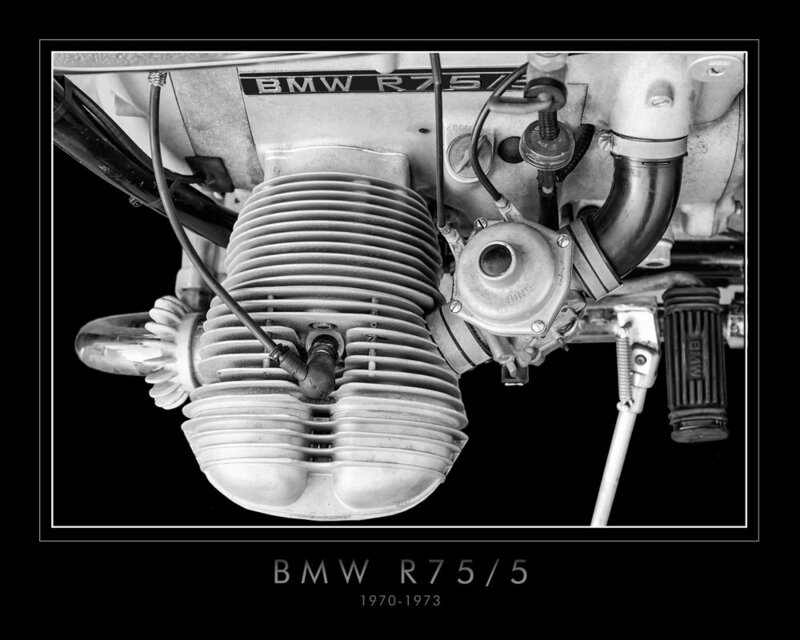 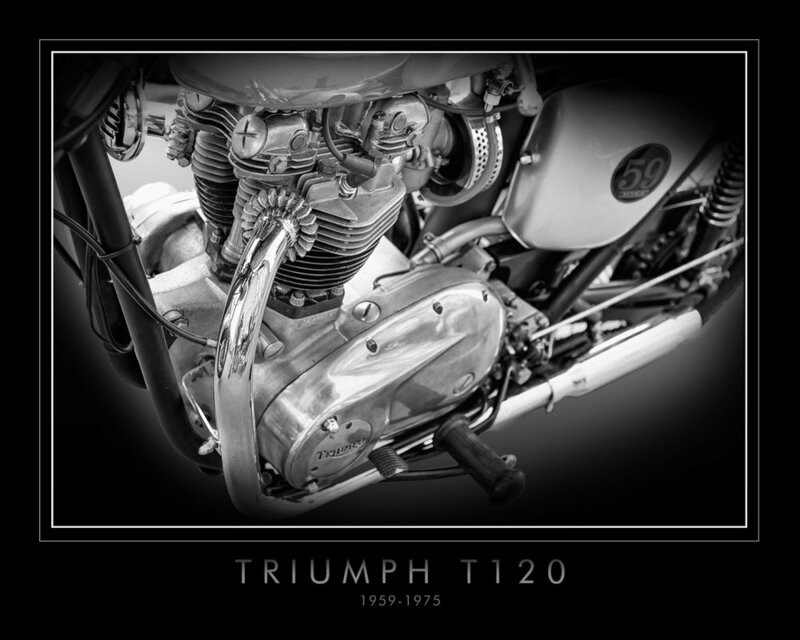 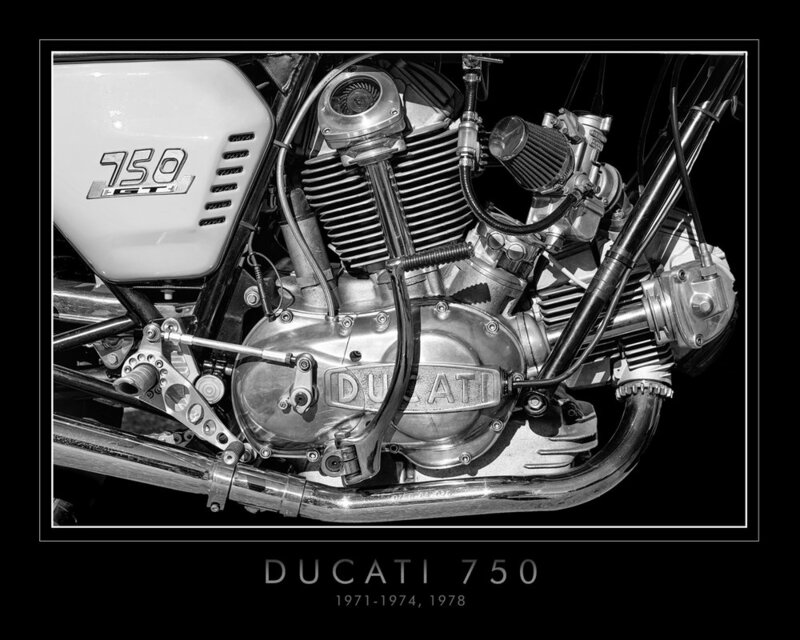 Please see the Shop under Prints - Motorcycle Engine Prints to make your selection.